Hello everyone! Today is Tuesday and that mean it's Twinsie Tuesday again! Yes, that's right, we are back from our December break and ready for 2015. Some of the ladies unfortunately are taking a little break from blogging, and will be back in the next few months. Since a few were leaving, we decided it would be a good time to add some new members to our group! I'm so happy that Amanda from Fashion Footing, Beckie from Polished by Beckie, and Savannah from Addictedd to Polish are now Twinsies!!! Today we are posting pond manicures! This is my first time doing one and it's long overdue! So many bloggers have created gorgeous designs using this technique and I've always wanted to re-create the look. I purchased more jellies over the summer so I could eventually try, but I never got up the courage to do so. Honestly, I was thinking about skipping today's prompt because I was scared that I would have a huge disasticure, but I went for it! 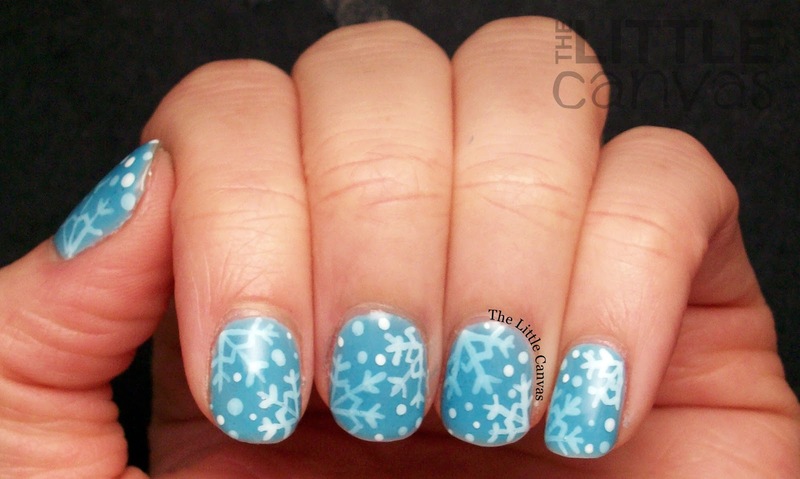 I was going to follow Adventures in Acetone's tutorial for a heart pond manicure, until I was talking to Amanda and thought about doing a winter themed one! So, I kind of cheated. I used one coat of Bright Lucite as a base so the design wasn't 100% sheer. I'm not a huge fan of seeing my nail's smile lines through polish. 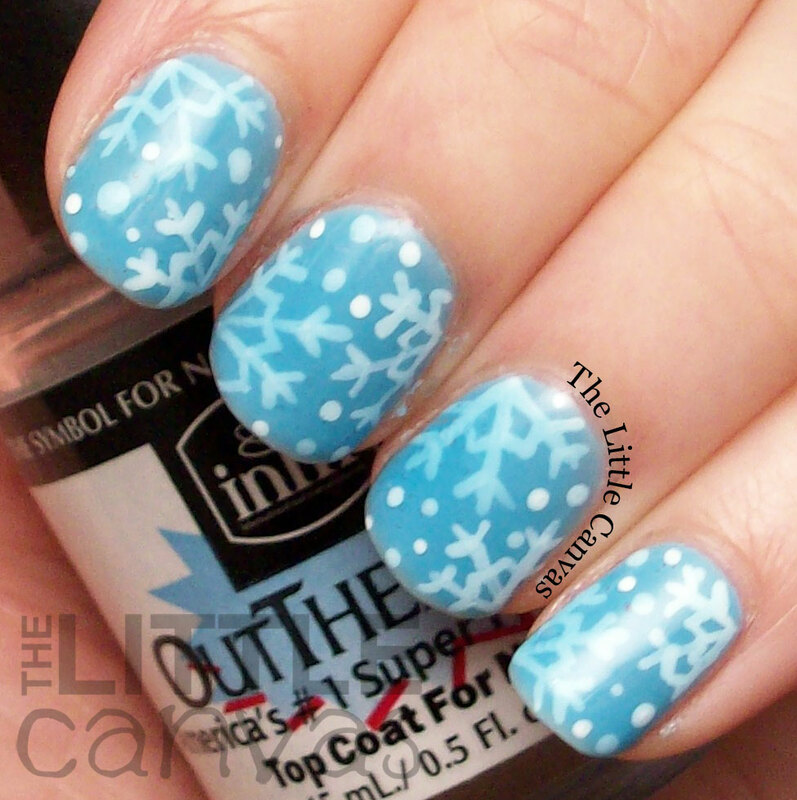 So, I started off with my base coat of Bright Lucite, then painted one snowflake on the corner's of my nails. Then, I covered it with one coat of Ice Tint by Sally Hansen. This is the blue sheer jelly from Sally Hansen's Palm Beach Jelly collection. Then, when that was dry, I added some dots, followed by another coat of Ice Tint. 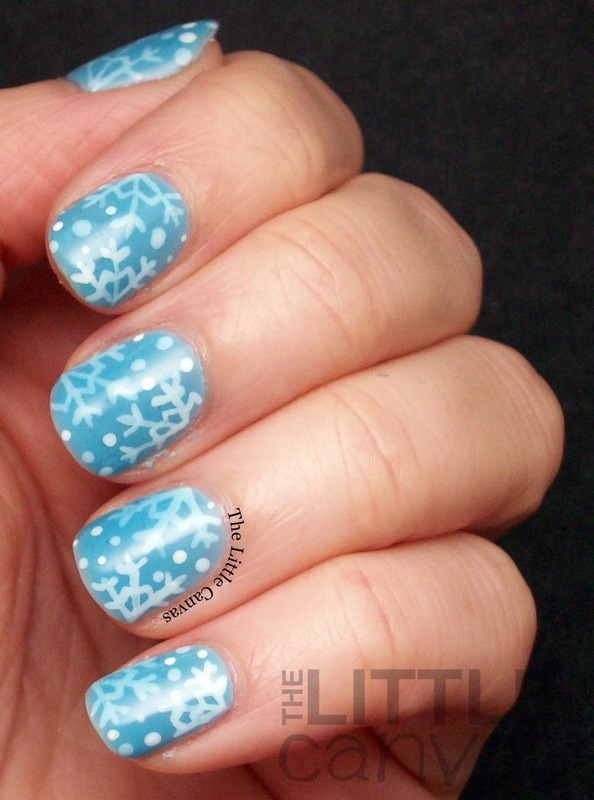 Then I added another snowflake, followed by another coat of the jelly. More dots, more jelly, few more dots, then one more coat of the jelly. I might have gone overboard, but honestly, I love how it was looking and couldn't stop! I'm so happy I decided to do a winter design! I love how the snowflakes looked under the different layers of jelly! I was scared that it wasn't going to work out because of how sheer Ice Tint is, but thankfully it did! I think it was because of that base of the cream that I put underneath! What do you think? Liking this pond manicure? I can't wait to see everyone else's pond manicure!